Meet The Guys Behind THE FINAL GIRLS On The Latest SHOCK WAVES! On the latest episode of the Blumhouse.com presented podcast SHOCK WAVES, join your hosts Rob Galluzzo (that’d be me! ), Elric Kane, Rebekah McKendry and Ryan Turek as they catch up on all the latest horrors! First up, Elric checked out the 80’s “slasher” flick GIRLS NITE OUT, EMBRACE OF THE SERPENT, DARLING and THE GREASY STRANGLER. Bekah caught SOUTHBOUND and talks TV with SLASHER, which opens up a bigger discussion about MTV’s SCREAM. Ryan survived the MARDI GRAS MASSACRE, as well as cult classics THE GATE and THE LOST BOYS. Rob got an advance sneak peek at THE 6TH FRIEND and plays a snippet from the recently released soundtrack to MONTAUK CHRONICLES. The group then welcome very special guests Joshua Miller and Mark Fortin, the screenwriters behind 2015’s THE FINAL GIRLS to the show. We delve into their earliest experiences in the horror genre. For Miller, it was seeing his father Jason Miller in THE EXORCIST as Father Karras, and starring in movies like NEAR DARK & RIVER’S EDGE. The two delve into why they love horror, how they met and partnered up, as well as maneuvering themselves in Hollywood as writers & creators on such TV shows as QUEEN OF THE SOUTH. 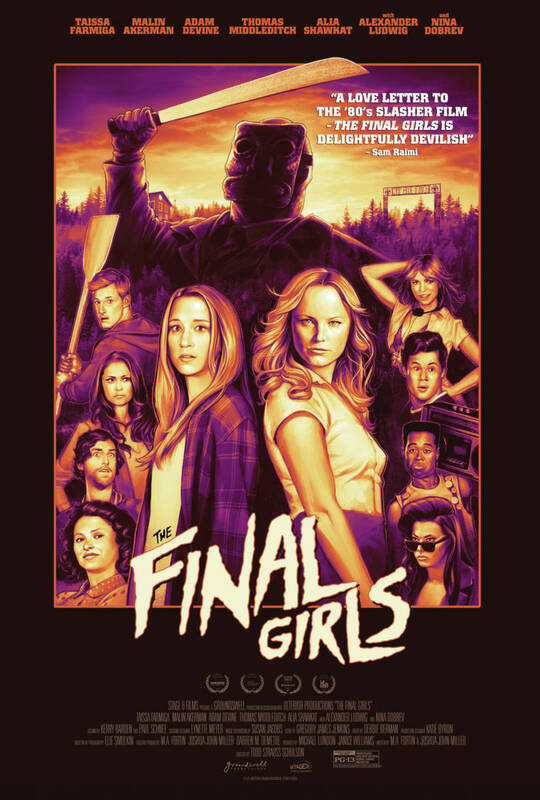 A lot of ground is covered in this lengthy, candid chat including the deep, personal connection to their script for THE FINAL GIRLS! It’s embedded below for your convenience, so sit back, relax and join the conversation!